From yellow discolorations to black spots and pitted nails, there are a lot of nail changes that indicate a variety of medical conditions ranging from trauma to diabetes and vascular disease. If your nails have changed dramatically in appearance lately, make sure to check out our list featuring 10 disturbing things your nails reveal about your health! 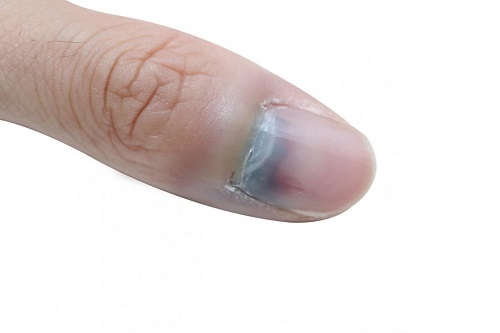 In most cases, the appearance of a black or dark brown colored spot or stripe on your nail signifies nothing else but the fact that your finger has been in an accident. But if you do not recall suffering any trauma recently, then other possibilities include fungus under the nail, as well as an overproduction of melanin – meaning, a mole. Since dark nails can sometimes indicate more serious conditions including melanoma (a form of skin cancer) or psoriasis, visiting a specialist is definitely the recommended way to go.